Would you like a loft apartment? 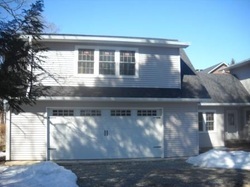 This attached garage holds 2 cars with storage and a spacious loft apartment above with inside stairs. Great for recreation room, entertainment room, office or studio. This garage was attached to the house with a new laundry room. 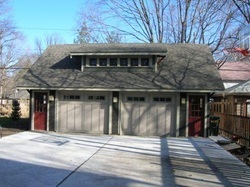 This specialty garage was featured in the Broad Ripple Home Show. Windows are from the original home cir. 1918 and incorporated into this amazing garage. Though our picture doesn't show it, there was a lot of interior work to match the beams and trusses of the house next to it.